Busy, frantic, chaotic but wouldn’t change it for the world, I am sure this is how most people would describe family life. Encumbered by routine and churning out the same family meals over and over again because you lack the time, forethought and creativity to plan anything different. Sound familiar? Not being blessed with the culinary gene, I have been dishing up the same old meals time and again. There are no complaints (mostly), but I do feel stuck in a rut. I need inspiration, new ideas and for the growing kids to try different foods and flavours and get involved. 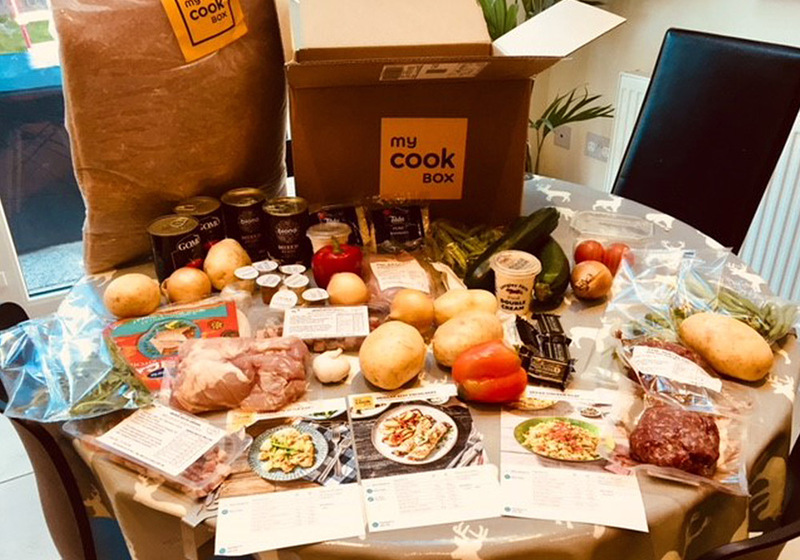 So, when MyCookBox offered me the opportunity to sample 3 recipes for the family, I jumped at the chance, keen to try new meals and learn new ways to cook fresh meals too! With deliveries on a Tuesday or Saturday, the process couldn’t have been easier, with regular updates and a one-hour delivery slot – with the offer of leaving with a neighbour or in a safe place if need be. The MyCookBox actual box was delivered on time, all items carefully wrapped and stored in special cool bags to keep them fresh. Reading the recipe leaflets we had been sent, the kids (and I) decided to start the cook fest with “Tartiflette with a tomato salsa” or cheesy potato bacony bake as it is now known. The instructions walked us through each process, they were super easy to follow for us all and the kids enthusiastically got involved chopping, frying (with supervision) and pouring. Taking no longer than twenty minutes, we had a delicious home-cooked meal to sit down to but would they eat it? The proof was in the pudding so to speak and I waited with bated breath……. they DEVOURED it! Both asked for more and my husband was also pleasantly surprised giving it a big thumbs up from him. Second night, we opted for spicy baked chili enchiladas but this time, with the kids at various clubs and needing a cold tea, my husband and I opted to cook this just ourselves after their bedtime and froze the rest. With just 15 minutes to knock up this delicious meal, I did it! Again, very easy to follow with pictures of each stage in the process so I knew I was on track and such a treat to sit down with each other and enjoy something different. And….I had enough to freeze for another meal at another time too, perfect! And last but not least, it was a chicken pilaf on the menu and again, instructions were so clear and easy to follow, despite cooking whilst being with the children – supervising crafty homework, making sandcastles and battle-stations from kinetic sand (I kid you not), dealing with phone-calls, doorbells, emails and demands for snacks from the small people and mewing cat. Meal prepared (I did tone down the spice for the kids), we sat down and empty plates ensued. Really flavoursome, super-easy instructions to follow. Another runaway success! Three nights, three meals, three lots of empty plates and I have a new set of culinary skills and meal repertoire to boot. 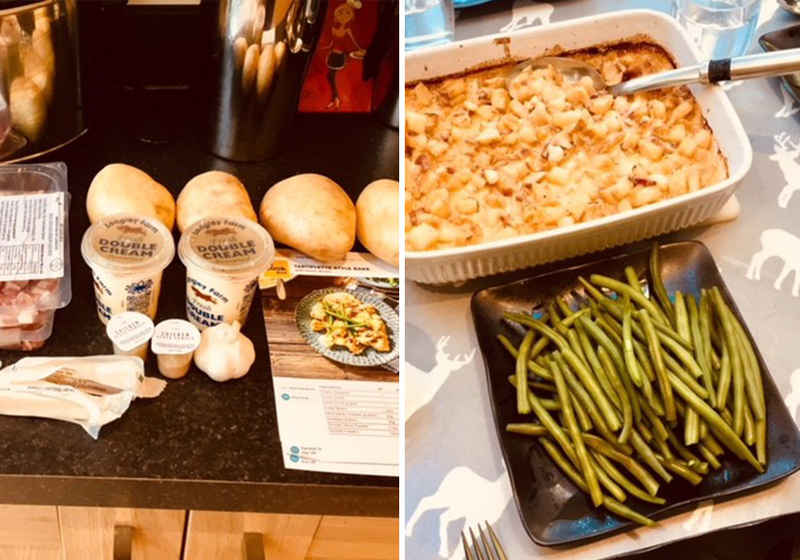 What I most enjoyed was the inclusiveness a cook box offers – we can all get involved, help cook together and try new recipes and taste new tastes. I am also always a little nervous that cook boxes don’t offer the portion sizes for a growing family but they truly did. I had enough Chicken pilaf left over to freeze for another meal for two people, offering incredible value. Another concern is that you are never sure of the quality of the food that arrives but everything was clearly packaged and it was evident that only the finest, often organic, ingredients were used, the proof was most definitely in the taste. Fruits and vegetables were fresh and crisp too and it was clear there was absolutely no compromise on quality. With all the food arriving in pre-prepared portions, I just love it too that there was zero waste. Always one to over cater, I frequently get left with left-over and unlabelled Tupperware in the freezer that never gets used and I can’t bear to waste good food. MyCookBox is also super flexible to fit in with your family life. You can pause, reschedule or decrease/increase your meals per week. There is no commitment, ‘There is no commitment, you only get debited for the weeks that you select. You pay for what you want and when you want it – perfect for busy family life when you need to be at your most adaptable. My husband also owes you a debt of gratitude, he asked me to pass it on – cheeky! He can now enjoy a variety of freshly cooked healthy meals, doesn’t have to eat the same old thing (his words) or be my chief-taster for my culinary experiments (not a job he used to relish). The kids also have a new-found role as mini-kitchen assistants and really enjoyed “helping” me cook for the family. 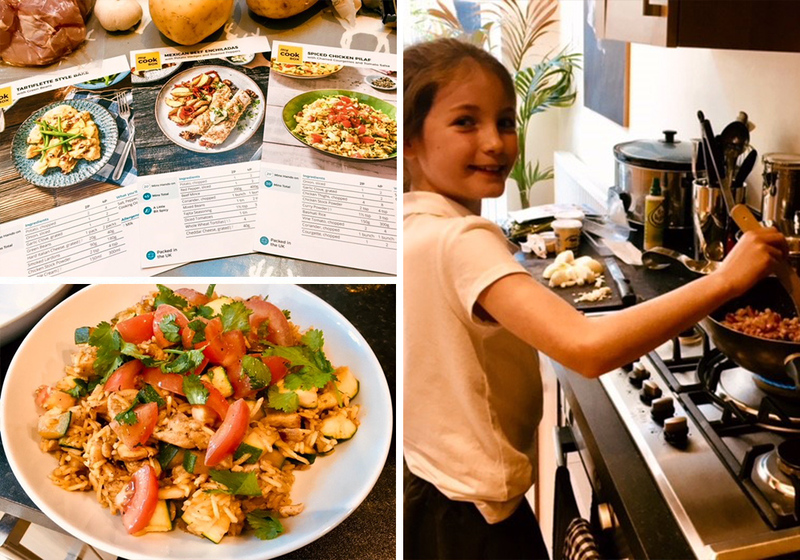 Huge thanks to the MyCookBox team for three delicious meals for the whole family, we are very much looking forward to signing up to trying your new lovely dishes!